With over 10 million sold and over 50 years on the job, the Mossberg 500 is the most prolific and reliable shotgun in the world. 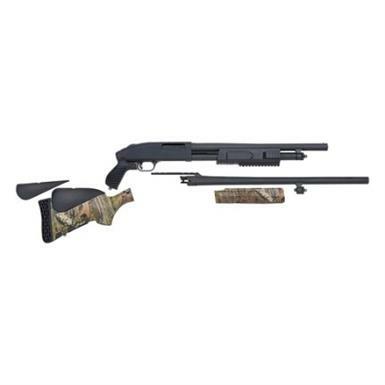 It's a reliable shotgun that won't break the bank, with a smooth, jam-free pump action. Mossberg has been making high-quality, affordable firearms since 1919 and the 500 is the bedrock of that legacy. Barrel Length: 24" & 18.5"
LOP: 12 3/4" - 14 5/8"